Book Giveaway—Todays' guest Sara Goff is offering a printed copy of I ALWAYS CRY AT WEDDINGS to one randomly chosen commenter, worldwide. The winner will be announced Sunday Sept. 27 To be entered in the Giveaway, please leave your contact information within your comment. Also see below for an excerpt from Sara's debut novel I ALWAYS CRY AT WEDDINGS. The airlines got it right when they decided parents should put on their own air mask before administering to their children. If you’re suffocating, you’re pretty useless. Growing up, I was taught to be good to myself, from the food I put into my body (organic veggies, good fats, no processed sugar) to daily exercise (a lot of karate.) Television was downplayed in my family, while every wall of our small house was lined with books, the classics, from floor to ceiling. I grew up listening to my grandmother sing about God's perfect love, a nonjudgmental love that would never fail me. Through my parents and grandparents' example, I learned to love myself, which meant meeting my physical, mental, and spiritual needs, before trying to please anyone else. By my mid-twenties, I had lost contact with God, food was secondary to being out in the nightlife, and I was exercising to stay thin, not strong. What happened? Looking back, it's clear, and surprisingly simple. I stopped loving myself. I put my boyfriend at the time first. I put trying to be perfect first. I put society first. When you stop loving yourself, it’s very difficult to love God and others. The creative force running through your blood clogs, or worse turns angry, dark. Every aspect of your life is affected when you don't have self-love and can’t find it within yourself to forgive your mistakes. I knew my life was spiraling out of control when on the weekends, out with friends, I’d drink to the point of blacking out. My father had just passed away from pancreatic cancer, and losing him felt like being hit by a massive crater. A wet, trembling, scary spiritual meltdown was inevitable, but thank God it happened. I finally felt helpless enough to start praying . . . and then He answered. New friends appeared in my life, literally walked up and introduced themselves. I recognized God at work and made myself available to the possibilities. Soon, I had hope and the strength I needed to walk away from the boyfriend, the job, the things that weren’t meeting my needs. I learned to love myself again, and my creative passions felt unbound, setting me on a career path I used to dream about living. Now (with my air mask in place) I’m able to help others. Through my charity Lift the Lid, I encourage underprivileged students to express themselves through writing. For some it is their way back to self-love, the love we knew so well as infants. If your creative flow is backed up, or perhaps the characters in your novel aren’t evolving the way you had hoped, give yourself a big hug and start over from a place of love. God knows you deserve it. See Below to read a Free Excerpt of I ALWAYS CRY AT WEDDINGS. 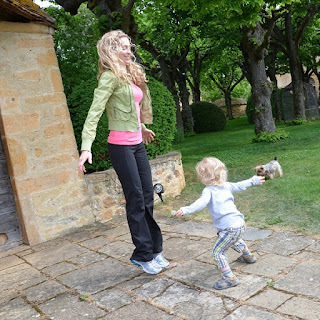 SARA GOFF recently moved to Connecticut with her husband of 14 years and their two sons after living in Sweden and then London for nearly seven years. 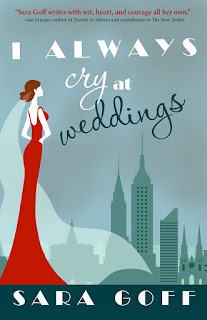 I ALWAYS CRY AT WEDDINGS, her debut novel about figuring out life and finding love in New York City, was recently released by WhiteFire Publishing. 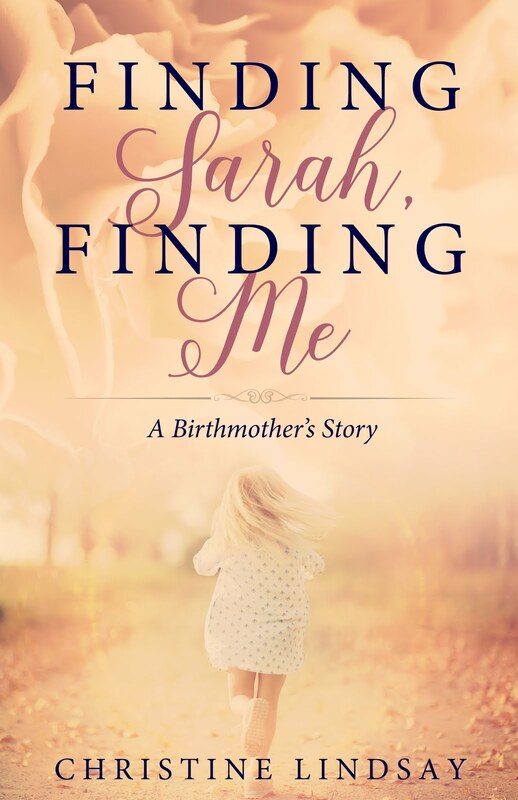 A part of the proceeds from the book will go towards her educational charity Lift the Lid, a 501(c)(3) tax-exempt organization. Visit www.lift-the-lid.org for more information on the charity. Excerpt of Sara Goff's I ALWAYS CRY AT WEDDINGS. Ava gave a hopeful smile and exchanged a glance with Josh, her fiancé. The last couple they expected to go simple and cheap was Courtney and Brad. They had the money to throw a knockout wedding, like theirs would be. Plus they had a vow of chastity to wrap up. Wouldn’t that be all the more reason to go big? In a church, or under a chuppah? What about God’s blessing? Instead, they opted for a public building with fluorescent lighting and stale air. A room where couples and their witnesses waited in long, grim lines to get their licenses signed, stamped or whatever. How unromantic. How could they? Ava looked down at her skirt and blouse, her long legs in red opaque tights, and then to Courtney, who had on a pair of low-cut jeans and a pink T-shirt, both on the clingy side. Brad wasn’t dressed any better in grass-stained khakis and an old yellow polo shirt. Here they lost her completely. A bride wore a white dress of some kind. White wasn’t just tradition. It symbolized the innocence of a new beginning and the purity of commitment. Without white, it wasn’t a wedding. “I guess we overdressed.” Ava blushed as it became obvious that she was staring. “When Josh and I introduced you, of course!” They had gone divot stomping at halftime, Courtney and Brad competing and hitting it off at once. “That’s so cute you’re wearing the same clothes. Wow, our first date was so long ago…” She turned to Josh. “Remember? I wore a vintage bubblegum-colored dress with pleats down the front. Ugh! I was going through a ‘Carrie Bradshaw’ phase, on a budget.” She pictured the elegant French restaurant, Daniel, and her meal of goat cheese stuffed escargot and peppered filet mignon…warm and buttery madeleines…a taste of champagne. “I remember you got a little tipsy.” Josh smirked. She laughed, as if it were a silly mistake. After dinner, she had naively gone back to his apartment. In a dream-like moment, which she could barely recall, she had given up her virginity. Gone. 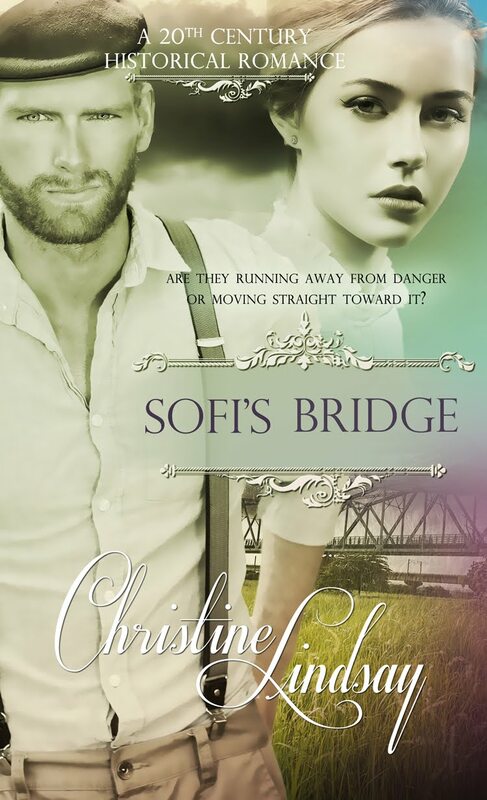 She felt the sting of regret now, thinking that their first time could’ve meant something if they had waited until marriage, until they knew and loved each other, like Courtney and Brad. “You look beautiful,” Ava said, softly, almost to herself. Courtney didn’t need the white dress, the veil. She still had that special glow.